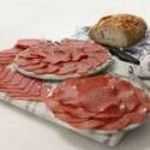 This is a great European Salami. Fermented and air dried until it reaches that special unique flavor. Here is a very good lean salami with lots of mustard seeds. This is a nice square peice, which looks good on a platter. Real old German flavor. A great "European" tasting salami. Lean and good! 16oz sliced package or chunk. Just gets better as it ages!! A very European air dried aged salami made with whole peppercorns. We slice it thin and air seal it. A real good sliced lean pepperoni for your sandwich, salad or pizza. 16 oz sliced and sealed. Here is a hard salami with good spicy . 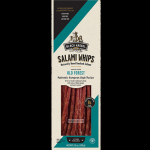 If you like your salami with a very zesty spicy flavor this is it. 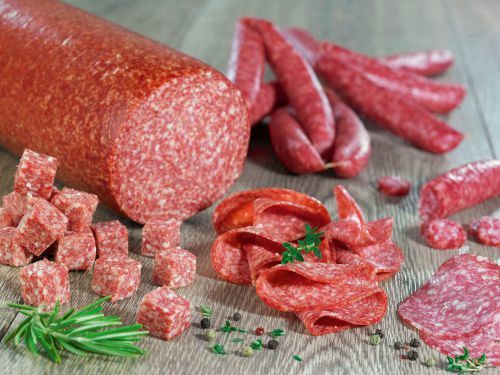 Hungarian Brand Salami, Vacuum Packed.